The redevelopment of Wirral’s St Catherine’s Community Hospital was seen as a major breakthrough in community care. The investment of £32.6m was funded through a joint venture between a Third Party Developer and Wirral PCT who engaged with IHP in early 2009 to set out the vision for what would be the largest community health care facility delivered in the North West for many years. 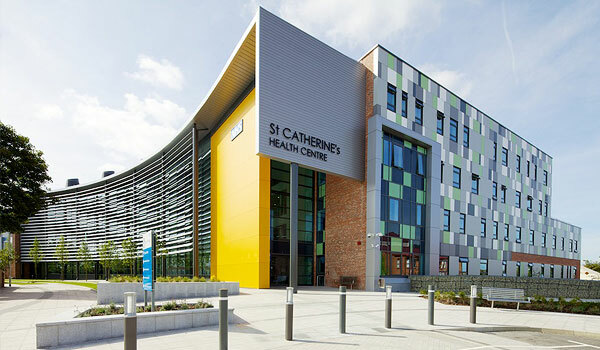 The local authority viewed the new St Catherine’s Health Centre as an important factor in providing the impetus to move forward with their local housing regeneration. St Catherine’s Hospital was a Victorian Hospital built during the mid-1800’s eventually becoming a large General Hospital. In 1982 the focus moved away from acute care towards delivering community services. Wirral PCT realised that a new facility was required to deliver quality healthcare for an electoral ward that was one of the poorest nationally. What services would be incorporated in the new build? Would it help with regeneration of the local community? Would there be options around apprenticeships? Would the building be environmentally friendly? These questions where explored and discussed positively with input from both the trust staff and the IHP team. Innovative design enabled the trust to provide more clinical space (and an increase in services) within a reduced floor area. The old buildings had an internal area of 16,000sqm whereas the new build would have a more efficient floor area of 11000sqm. It's been many years since I had occasion to visit Saint Catherine's Hospital until a necessary procedure had me there earlier this year....wow what a difference! The parking was easy and spaces were plentiful. 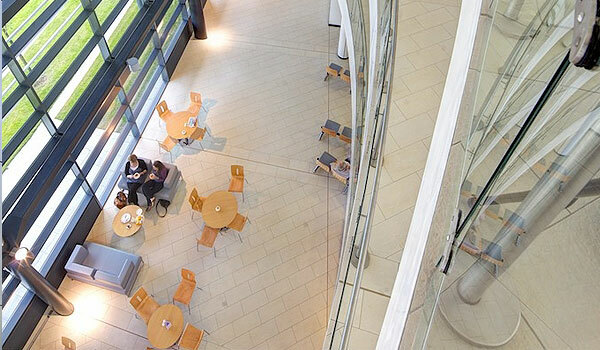 I then entered a beautiful new building with a lovely reception area and very helpful staff. Everything ran smoothly, with a timely appointment and professional care. All was repeated on a follow up visit. What a wonderful experience it was. The project delivery strategy enabled the trust to continue delivering its services with little disruption. 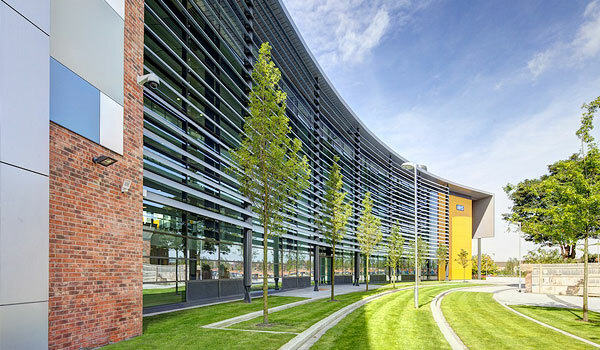 Placing the new facility at the centre of the site allowed construction to be staged, optimised space available, improved accessibility and provided flexibility for potential expansion. The holistic approach to design has simplified the patient journey with features including colour coded wings for ease of navigation, a central atrium incorporating clear pedestrian routes. The DNA inspired cladding on the outside of the building also serves as a visual way marker for patients. The colour on the outside of each wing is mirrored inside with signage and interior finishes. 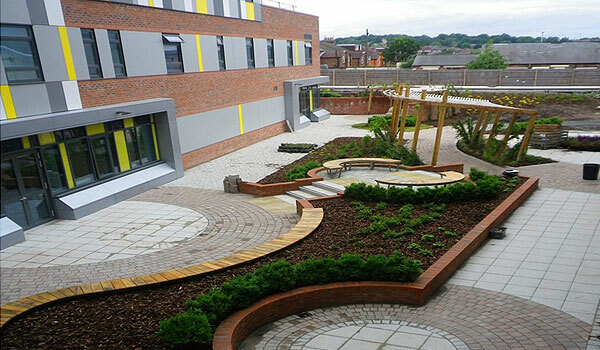 Outdoors, landscaped courtyards have been created to provide clinical rehabilitation space for patients. St Catherine’s Church. This listed Grade 2 Church had been hidden behind a dilapidated wall which was demolished with new landscaping thus opening up access. Church attendance figures have increased with the improved parking and amenity space. Also working closely with the Birkenhead Historical Society and the local community, a number of important historical features such as the original Victorian horse and cart entrance has been retained for use as a pedestrian entrance.